So, when is picture retake day? ST. LOUIS — His hair—on point. His smile—perfect. But it’s what is not seen in a St. Louis boy’s back-to-school pictures that made them go viral. 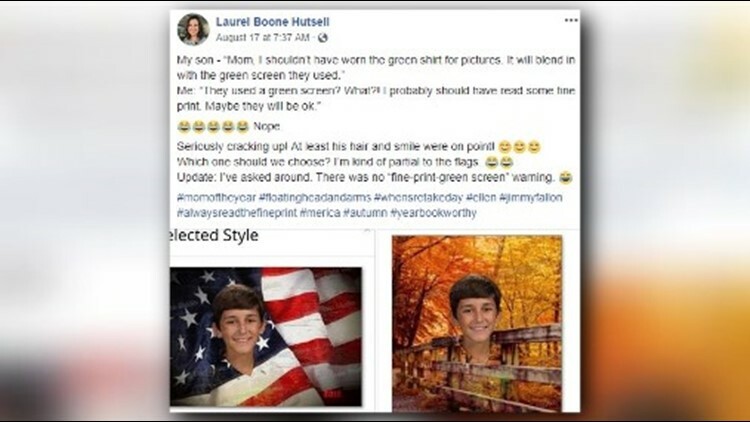 Laurel Boone Hutsell said her 12-year-old son Carter practiced his smile and “hair sweep” for that all-important 7th grade photo. They even talked for a few days about what color shirt to wear. They landed on green. Little did they know the color choice would end with his photo getting shared about 35,000 times, along with interviews with The Today Show, Inside Edition and dozens of other media outlets. 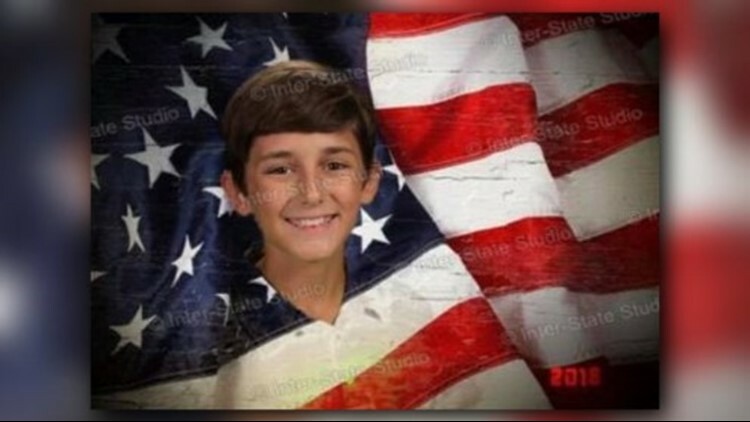 The photo company, Inter-State Studio, used a green screen at Carter's school in the Fox School District instead of a printed background with different scenes. Hutsell tried to brush it off, hoping the pictures would still turn out. But then the photos came back. They showed Carter as a floating head. No arms. No shirt. It all blended in with the green background. “Seriously cracking up!” Hutsell wrote in a now-viral Facebook post. She shared all of her son’s photo options. An American flag—“Yay America!” she wrote. A Fall scene—“Autumn is my favorite” she captioned. “But his hair and smile were perfect, so the practice was worth it,” she said. Hutsell said she didn't see a green screen warning in the fine print. But the family is taking the picture day fiasco in stride, using the hashtags #MomOfTheYear, #YearbookWorthy and #WhensRetakeDay. Hutsell said the photo company has been great to work with after the mistake and they were even able to fix the photos.